Happy New Year 2013! 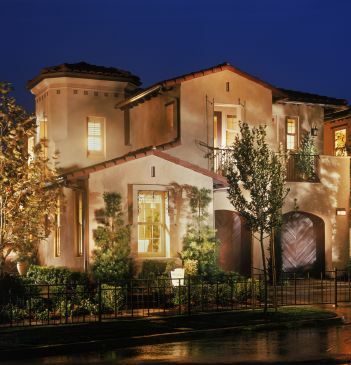 Is your resolution for this year to get a new home in Orange County? Posted by Teresa Mihelic HelpDesk on Wednesday, January 2nd, 2013 at 3:11pm. Because if so, we want to share some interesting data with you. As you may have heard on the news, the reduced home inventory in Orange County is pushing prices up. As expected as part of the real estate cycle, high demand = higher prices, and mostly everyone agrees the bottom was hit at the end of 2011, so a little over a year ago. The latest numbers for December 2012 showed that there were a little over 3000 homes listed for sale total in Orange County, which s down a little over 60% from a year ago and the lowest number in records dating back to June 2004. Meanwhile, the median selling price in OC stays at $464,000 which mean is 16% more than last year. What is expected for 2013? With this low inventory, if you are a home buyer, is critical to work with a 'seasoned' agents like the ones at OCDreamhomes. Why? Not only because of their experience, but this time around home buyers will need the agents relationships with other agents more than ever. The old saying ' is not what you know, but who you know' becomes true here. Agents will need opportunities to see and write an offer on a given property. These relationships will be critical in obtaining properties for clients. That been said, do not be discouraged! With today’s low interest rates, house payments can still be less than renting. Before long, interest rates will have to rise. It seems there's heavy investing in Orange County from investors of multiple rental properties, and with rents on the rise, it only seems like a golden opportunity to turn the investment into cash flow. Time to buy for sure! Almost any property, with 20 to 25% down will have positive cash flow, without mentioning a probable appreciation about to happen as property values continue to rise. Check out whatt homes are currently listed for sale in Orange County. We update our website every day so you have the most up-to-date information. And please get in touch with our office asap so we can start working directly with you in finding your new Orange County Home.